Merck, after eating part of bagel, found it "was adulte­rated with pubic, chest or other human hair," the lawsui­t said. Merck, after eating part of bagel, found it "was adulterated with pubic, chest or other human hair," the lawsuit said. 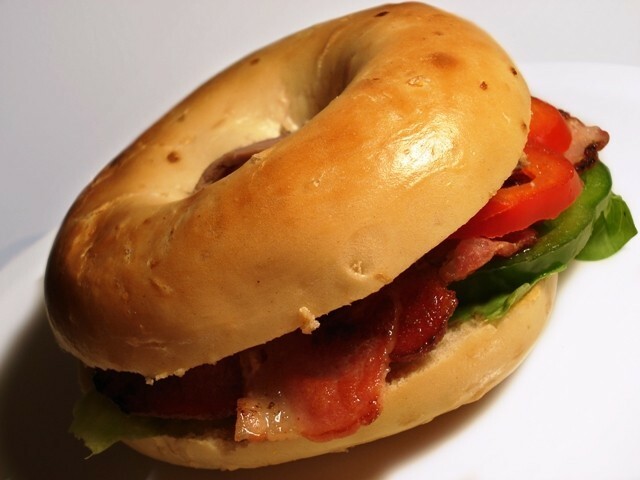 PHILADELPHIA: A police officer is suing a New Jersey delicatessen and its cook, who admitted stuffing body hair into the officer’s bagel sandwich in revenge for a traffic arrest. Offbeat: A burger or a beast? 338 pound beast of a burger is expected to break the Guinness World Record for largest burger, once it gets certified. The 2011 Ig Nobel winners, awarded at Harvard University by the Annals of Improbable Research magazine. The stomach of ants is transparent, hence it matches the colour of the food they're eating: Babu. Little turtle is one hitchhiker, who wasn’t afraid to take risk, after he demanded lift across pond from an alligator. Experts believe red algae combined with the raised pH led to the change in his colour. Just to clarify, the woman at the store refused to make any comment on the story. Burke was fired immediately. Everyone keeps talking about the effects this has had on the officer, what about the small business owner that this is devastating? Keep in mind this is a small, family owned, one store deli. Burke worked for them for years. He was a trusted and valued employee. They treated him like a son and he betrayed them in the worst way.